The fine folks at Nooch | Vegan Market have one green apron left, and we’ve decided to give it away in a contest! All you have to do is leave a comment telling me where the beet appears in issue eight, and you’ll be entered to win. If you don’t already have the issue, you can get it here. I’ll be randomly drawing a winner from the entries on Facebook, Instagram, VeganWall, and this website, so good luck! 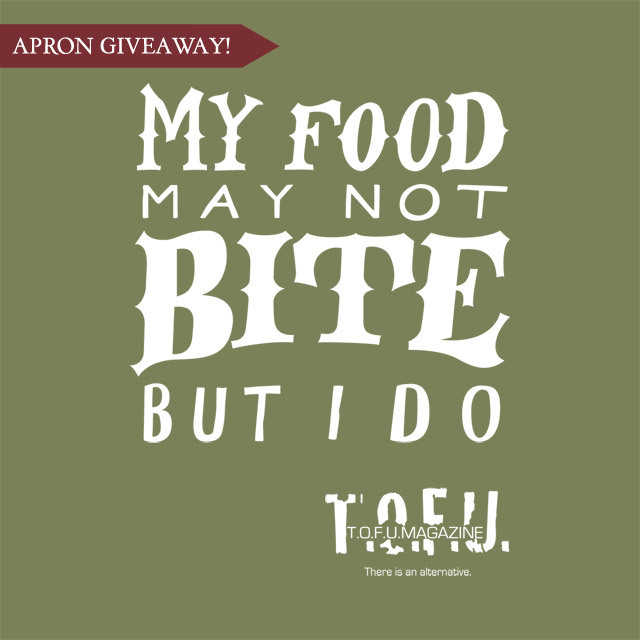 Finally, if you need more info on the aprons, or you want one regardless of if you win or not, check out VeganSupply!